Like everyone else, we do some spring cleaning to make room for new inventory and to also give you, the customer, the best possible price on the great products we provide for you. The DrainVac brand as served so many customers with class A products. We are proud to provide the Viper model of central vacuums in the 4 and 9 gallon size on Sale for $50 less than list price. Also we are slashing the price on the Turbo model by $47. This is the first time DrainVac has allowed us to put these items up for sale and for a limited time these items will be listed at such a low price. Also available are the Purvac Ruby central vacuums, 4 and 9 gallon models, for $50 less than list price. These prices don't come around all the time people. This will only last 3 days so come get it while it lasts. Click here to see our DrainVac page. Click here to see our Purvac page. Every now and then we receive letters, cards or emails from customers thanking us for our wonderful service or how well the products they bought from us have been working. We've been thanked for just about everything you can think of. 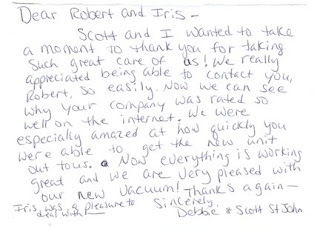 Just recently we received a nice card from a young couple who purchased a new vacuum unit from us and is loving it to the fullest. It's nice to get these praises from customers. It lets us know, that we're doing a great job providing them with great customer service, an easy to navigate website, and the personal attention you get when calling us. We strive for excellence in this dog-eat-dog world we live in. And with the economy in the shape it's in, it gives us a feeling of accomplishment knowing that our customers actually appreciate the service we provide for them. 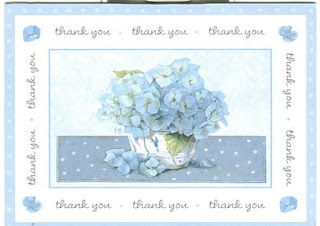 We here at Thinkvacuums would just like to say Thank You for everything you, the customer, have done for us. With out you we would be who we are today. ...and they're proud of it! These new units sure are powerful. NuTone introduced the new VX series central vacuum, which are redefining the central vacuum industry. Over 40 years of making bathroom fans and intercom systems etc., the famous Nutone/Broun name has been a major influence in the central vacuum field and a household name for years. Nutone has gotten a bad rap over the last couple of years due to them switching manufacturing facilities, now made in Canada. We have not had any bit of problems with them, and customer love the value of their Nutone. We praise them for doing a great job with their redesign. They set the bar for future central vacuum design and craftsmanship. We at Thinkvacuums.com sell more Nutones than any other central vacuum on the market. These new motors were re-designed from the ground up with expert engineering minds working on it. 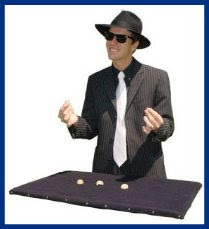 Customers, beware of other websites playing the old "bait and switch" game. We know of one such website who attracts people with Nutone products just to try to switch them over to their own private-labeled brand, or a more expensive one. They even have comparisons to their own brand on the Nutone pages just to further persuade you to switch. It's because Nutones don't have a large enough profit margin as a private-labeled vacuum would. We think that with today's economy, Nutone is becoming the best bang for your buck. Sure, there may be other choices of vacuums out there, but for the price a Nutone is the best bet. That's what we focus on, getting you the right vacuum for you, not playing games to get you to spend more. Read more about private-labeling vacuums. Our helpful staff is always waiting to assist you with any questions you have. With 3-4 decades of knowledge, there's nothing we don't know about this industry. Please give us a call at 1-800-322-2965 and one of our trained operators will assist you with anything you need.